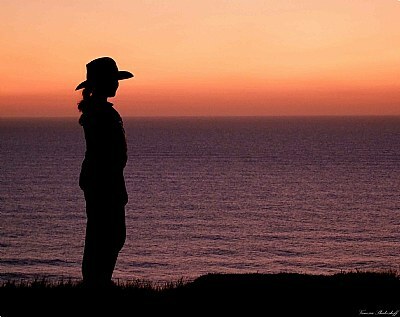 A wonderful silhouette with a thoughtful composition. Excellent details and sharp focus. Great tones and graduation. Excellent visual and initial impact. Very nice relaxed girl silhouette. simple and great silhouette compo-nessa, very powerfully image. Nice, Nessa! She's gotten so much older. Lovely colors and lighting. Great silhouette, colors and composition. A wonderful image, full of serenity Nessa. An excellent capture Nessa,I agree with Jose.so many emotions con be read into this beautiful shot. An exceptional capture and impresive image. greetings nessa,. beautiful composition for proj51,. excellent silhouette,. love the cowgirl style,. my best regards art,. Too young to wait Vanessa! too courageous to stand on clifftop, but you made it. Nice silhouette vanessa, excellent texture contrast of sky and water. very good colour tone too.